With big holiday season just around the corner, many online retailers are busy preparing their customer service teams for the holiday rush. According to NRF’s survey conducted by Prosper Insights, American consumers plan to spend an average $935.58 during the holiday shopping season this year. Total planned spending this year is second only to the record total spending in 2015, at $952.58. No doubt, the holiday season puts lot of stress not only on the customer service teams, but on customers as well. In rush hours average handle times often shoot upward, wait times escalate, which leaves many customers frustrated. After all, holidays are about positive emotions and your customers want to get a pleasant emotional charge from their holiday shopping experience with you. What can you do to minimize the negative effects of the busy season and keep customer satisfaction high? There are 4 things you can keep an eye on, which will help you to get through the season successfully and even win some new loyal customers for the next year. In the Forrester’s Customer Life Cycle Survey last year, consumers said they were using self-service FAQ pages on a company’s website for customer service more often than speaking with a live agent on the phone. This year the trend has continued to grow. According to Microsoft’s own Global State of Customer Service Report, 90% of the 5,000 consumers surveyed say they now expect brands and organizations to have a customer self-service offering. Approaching this holiday season, review all your self-service options and make sure the information is up-to-date and easy to find. Put yourself in the customer’s shoes and test if you can easily find answers to most common questions your clients are usually seeking support with. Taking this small step you will give to the customers what they want, which in turn will give you more customers who are satisfied with your service and your company. More than 3.65 billion people worldwide own a mobile device and 84% of consumers search for items on their mobile device before purchasing. With so many people purchasing online from their mobile devices, it becomes impossible to ignore mobile if you are an online retailer. However, mobile options are becoming increasingly important not only for sales, but for customer service as well. According to the Microsoft’s survey already mentioned in this post, the global average for 2016 shows that more than half (55%) of all customer interactions typically begin online and more than a quarter now begin on mobile devices. Moreover, 66% of customers have a more favorable view of those organizations whose self-service offering is mobile-responsive. Developing mobile-friendly customer service tools is another way to take the pressure off your customer support teams and keeping customer satisfaction high in the busy season. Sometimes there is no need to invent a bicycle. It is enough to just look at your customer service requests, review customer complains from previous years to see what you can do this year to improve. The stats show that there is a long way to go in this direction. Consumers are reported to be very skeptical as to whether brands are acting on the feedback they provide on improving the customer experience. Almost half of global consumers (48%) say they do not believe that most brands take action on the feedback provided by their customers. If you want your customers to be happy this holiday, the simplest and most obvious thing to do is to make sure that you have fixed all the holes about which they complained to you last year. Customers’ feedback is a huge pool of ideas how you can take your service to the next level and increase customer satisfaction. Make full use of it this season instead of trying to come up with fancy holiday ideas to wow your customers. People are your greatest asset and it will be them who will get you through the ups and downs of the holiday rush. It will be them who will actually be interacting with customers and making them either happy or unhappy. So preparing your team is one of the most important, and, no doubt, the most difficult tasks. One thing is sure, to manage the spikes in call volume, you will need more hands. While you can, of course, hire some seasonal workers, it might not be the best or the easiest solution. A good idea is to cross-train all your staff and make people from other departments help your customer service team. Surely, many of them, knowing your business inside out will be able to solve the easiest customer service inquiries. Another sacrifice you may need your team to make is their consent to work longer and more flexible shifts. All of this requires that you have a really good relationship with each one of your team members. They are people too, and they understand the needs of the company. If you inspire them, motivate them right to achieve a common goal and have fun at the same time, you can safely leave your customers in their hands. You can rest assured they will treat customers just as they are treated by you. If you are looking for motivational strategies, I recommend a good read, “10 effective ways to motivate your customer support team”. The four things discussed today are, in my opinion, the most obvious and simple ways to pump up your customer service while getting ready for this year’s holidays. They are so basic and so important that, if they are overlooked, even the most complicated service structure can collapse in no time. Giving attention to the basics will help you to keep more customers happy than if you were attracting them with nice holiday offers and then falling flat in the simplest customer service situations. So my call for this year is to strengthen the core of your customer service unit and then only try to move on to more complicated service options. What are your thoughts on this? 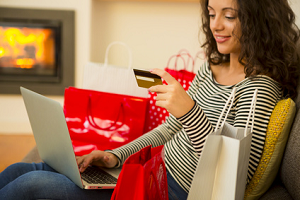 How do you prepare your customer service team for the upcoming holiday rush? Please share your views in the comments. This entry was posted in Articles, Best Practice, Tips and Tricks and tagged customer service in the busy holiday season, how to keep customer satisfaction high during holidays, preparing customer service for holiday spikes, preparing customer service team for holidays. Bookmark the permalink.